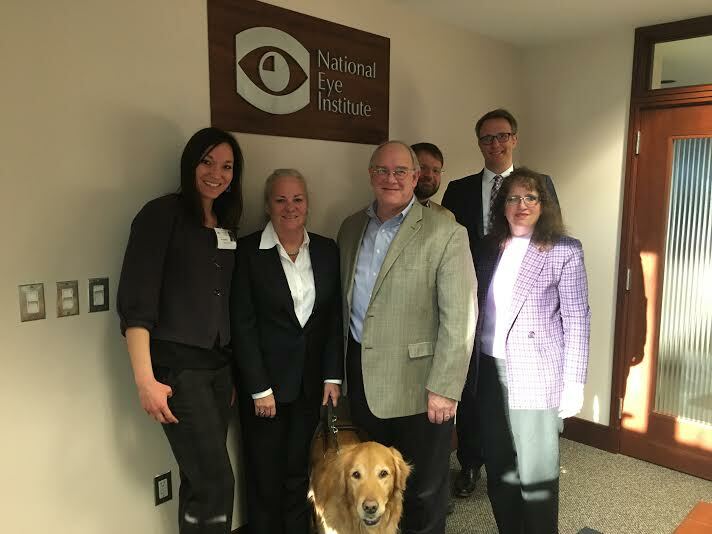 Our first day included separate visits with Director Battey and his staff at the National Institute on Deafness and Other Communication Disorders (NIDCD) and Director Sieving and his staff at the National Eye Institute (NEI). Both were gracious hosts and we appreciated them taking the time to meet with us. It was clear that Usher syndrome is a frequent topic of discussion in both institutes. 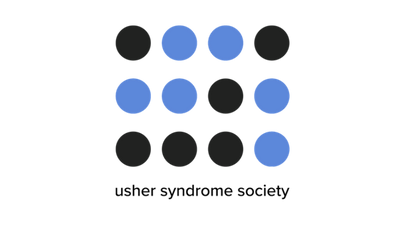 That said, we expressed our disappointment that despite three years of appropriations language urging the National Institutes of Health (NIH) to make Usher syndrome a higher priority, spending on Usher actually decreased by 11.6% from 2014 to 2015. The decrease was especially jarring in the context of the Congressional approval of two billion dollars in additional funding for NIH. The Usher Syndrome Coalition has been a strong advocate for increased NIH funding, so it was great to see this approved. That funding increase was the first in twelve years(!). So we recognize that budgeting remains tight at NIH and that real dollar investment can fluctuate for legitimate reasons. So the 11.6% drop was less concerning to us than ensuring dollars that are invested are used in the most impactful manner. To that end, we told NIH that we would like to see a strategic plan put forth by the National Institutes of Health developed with both internal and external expertise containing clear measurements of progress. The dollars invested in Usher syndrome research are precious to all of us. We want to make sure they are spent as wisely as possible. In particular, we would like to see NIH investment that targets those research areas that will most quickly bring about viable human treatments for the vision loss phenotype in Usher syndrome. As we all know, there are technologies and techniques available today to manage the hearing loss and vestibular issues faced by those with Usher syndrome. These are not perfect by any measure and more investment is needed, but the priority should be to provide treatments that allow people with Usher syndrome to manage the vision loss. I think we would all be pretty happy if there were interventions for vision loss that were on a par with those we currently have for hearing loss. That should be our first priority. It is unclear if the vision loss is being given the proper priority. 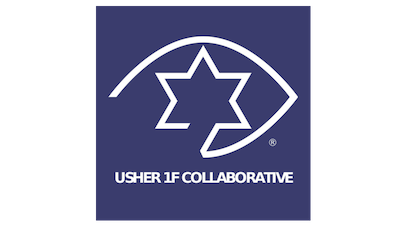 Of the $15,900,000 NIH categorized as Usher syndrome related spending, only $5,991,000 (37.6% of the portfolio) targeted vision loss. That needs to be a much higher percentage. Similarly, we would also like to see a better ratio of intramural and extramural investment in Usher syndrome research. The NIH website budget page states that “more than 80% of the NIH's funding is awarded through…competitive grants” and that “about 10% of the NIH's budget supports projects conducted by...scientists in its own laboratories.” For the Usher syndrome portfolio, 53.3% was intramural. That ratio needs to change so there is more money available for a broader range of ideas and to attract more good people to Usher syndrome research. Ideally the intramural funding would not decrease. Rather, the ratio improvement should come from an increase in the pool of extramural funding. All of this was conveyed in our meetings with Members of Congress. We continue to have very strong bipartisan support for Usher syndrome research. Senators Wyden (OR), Murray (WA), Warren (MA), and Cassidy (LA) and Representatives Young (IA), Cartwright (PA), and DeLauro (CT) were all kind enough to schedule time with us. Congressman Cole continues to be a terrific supporter as well. 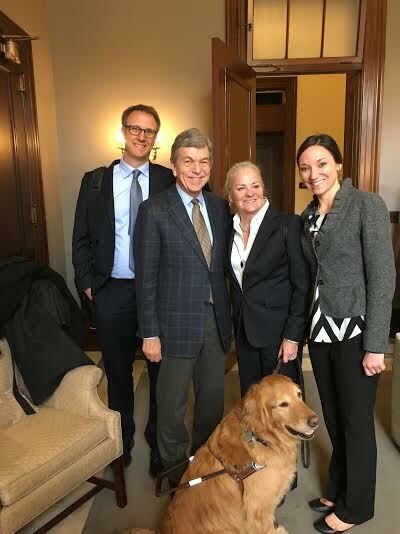 Special thanks to Senator Blunt (MO) for championing our cause and to Congresswoman Tsongas (MA) for again putting forth a Dear Colleague letter on our behalf. You’ll note I didn’t mention the party affiliations of any of our supporters. 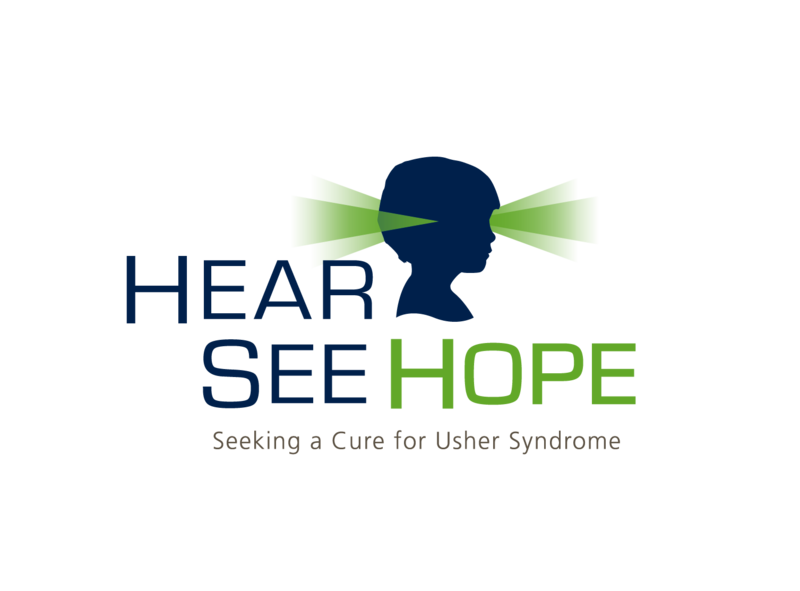 It doesn’t seem to matter when it comes to Usher syndrome. 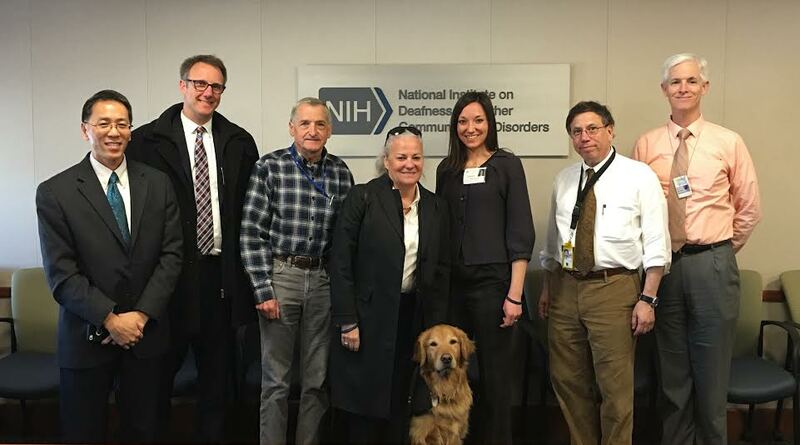 Usher syndrome - The Committee continues to urge the NIH to prioritize Usher syndrome research at NEI and NIDCD. The Committee requests an update in the fiscal year 2017 budget request on steps NIH has taken to date and future plans to accelerate treatment options and improve patient outcomes for those with Usher syndrome. The update should include a description of the criteria in use by NIH to evaluate Usher syndrome related grant submissions to ensure the prioritization of those that accelerate human treatment options. The update should also include a timeline and deliverables that will be used to evaluate the progress made towards viable treatments for those with Usher syndrome. 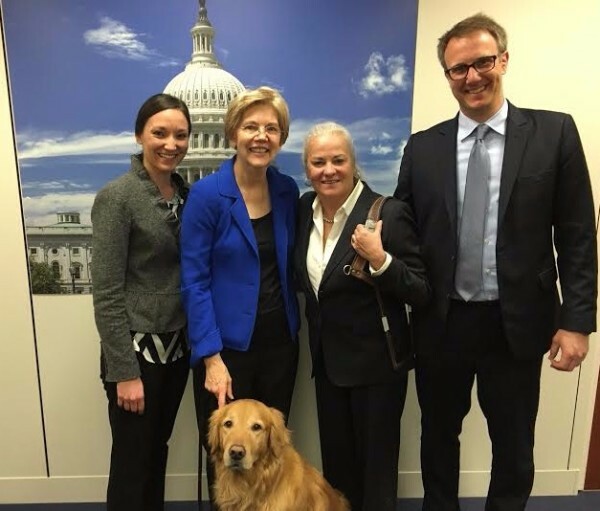 Left to right: Krista Vasi, Senator Elizabeth Warren, guide dog Finnegan, Moira Shea and Mark Dunning. 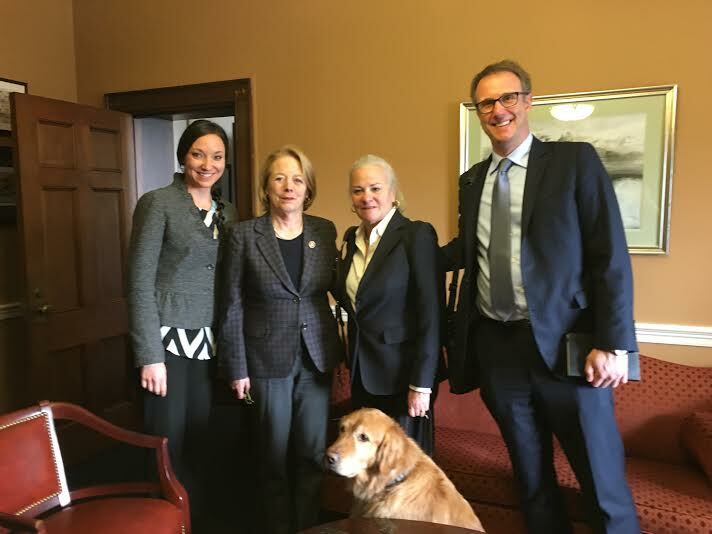 Left to right: Krista Vasi, Congresswoman Niki Tsongas, Moira Shea, guide dog Finnegan and Mark Dunning. A couple more notes. 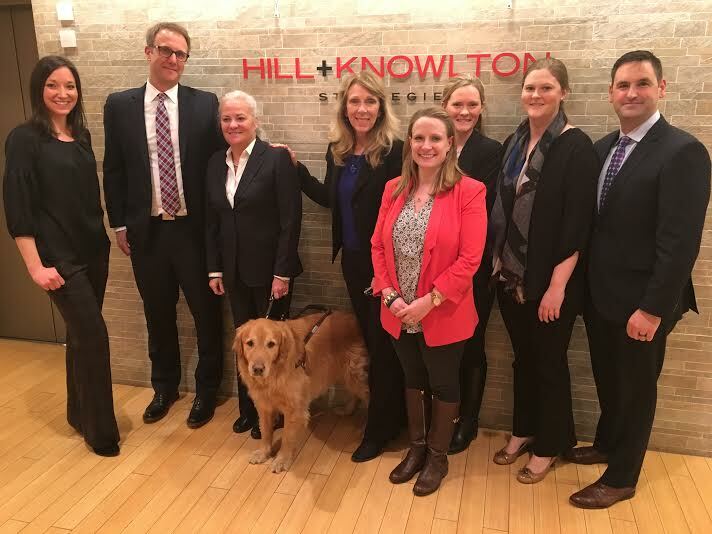 Hill and Knowlton hosted us for a morning session on messaging that was incredibly helpful. 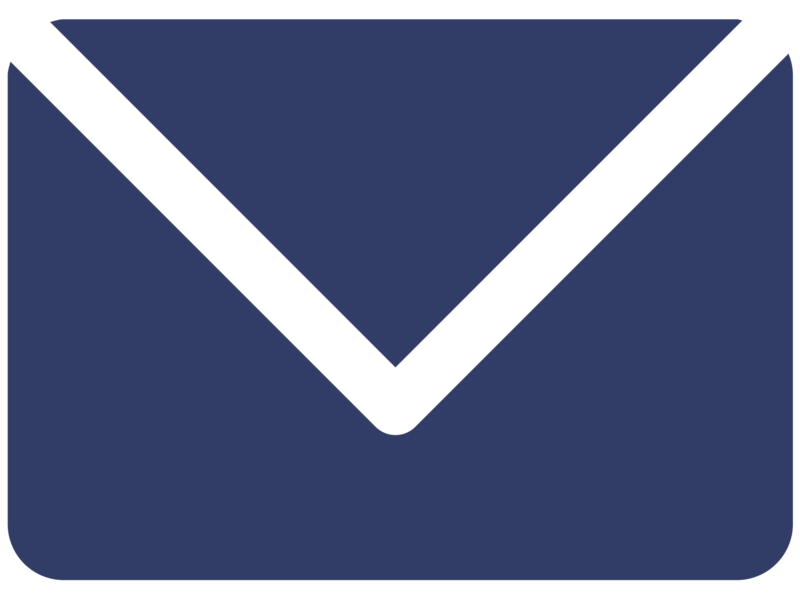 They have provided invaluable, pro bono, behind the scenes support on design and messaging to the Coalition for a number of years. We would be lost without them. 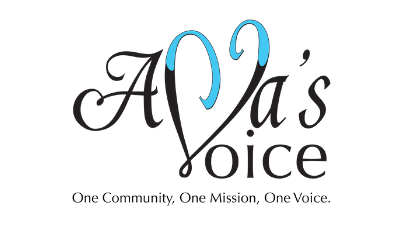 They are quiet heroes of the Usher syndrome community. Watch for more on Hill and Knowlton in a future post. Finally Moira’s guide dog Finnegan was the real star of the visits. Congresswoman Tsongas went out of her way to provide him with a drink because he was working so hard and Senator Warren, a fan of golden retrievers, took a midday break to play with Finnegan in a conference room. Everywhere we went, Finnegan found a way to be the center of attention. It’s fitting that Finnegan was front and center. Unemployment is always an important issue in Washington, DC. But in this case, everyone, including Finnegan, wants our efforts to result in him being out of a job forever.